Georgy Malenkov was born in Orenburg, Russia, on 13th January, 1902. 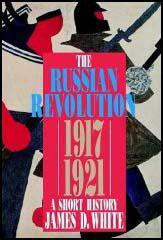 He was too young to take part in the October Revolution but in 1919 he joined the Red Army. The following year he joined the Communist Party and in 1925 Joseph Stalin appointed him as his personal secretary. In the Second World War Malenkov was part of the five-man defence council which managed the Soviet Union's war effort. Milovan Djilas met him during this period: "Malenkov was even smaller and plumper, but a typical Russian with a Mongol admixture-dark, with prominent cheekbones, and slightly pock-marked. He gave one the impression of being a withdrawn, cautious, and not very personable man. It seemed as though under the layers and rolls of fat there moved about still another man, lively and adept, with intelligent and alert black eyes." In 1946 Joseph Stalin appointed Malenkov as his deputy prime minister and became a full member of the Politburo. When Stalin died in 1953 Malenkov became both prime minister and head of the Communist Party. He appeared to be a reformer and called for a higher priority to be given to consumer goods. Described as a revisionist by Nikita Khrushchev, he was forced to resign in 1955. Malenkov remained on the Politburo but in the summer of 1956 he joined with Nikolai Bulganin, Vyacheslav Molotov, Lazar Kaganovich in an attempt to oust Nikita Khrushchev. This was unsuccessful and Malenkov was expelled from the Presidium and the Central Committee of the Communist Party. Georgy Malenkov, who became the manager of a hydroelectric plant in Kazakhstan, died on 14th January, 1988. Malenkov was even smaller and plumper, but a typical Russian with a Mongol admixture-dark, with prominent cheekbones, and slightly pock-marked. He gave one the impression of being a withdrawn, cautious, and not very personable man. It seemed as though under the layers and rolls of fat there moved about still another man, lively and adept, with intelligent and alert black eyes. He had been known for some time as Stalin's unofficial stand-in in Party matters. Practically all matters pertaining to Party organization and the promotion and demotion of officials were in his hands. 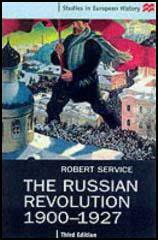 He was the one who had invented 'cadre lists' - detailed biographies and autobiographies of all members and candidates of a Party of many millions - which were guarded and systematically maintained in Moscow. I took advantage of my meeting with him to ask for Stalin's work On the Opposition, which had been withdrawn from public circulation because of the numerous citations from Trotsky, Bukharin, and others it contained. The next day I received a used copy of the work, and it is now in my library.